HEFF will be concentrated at the centre of the Newark Showground site for 2019. 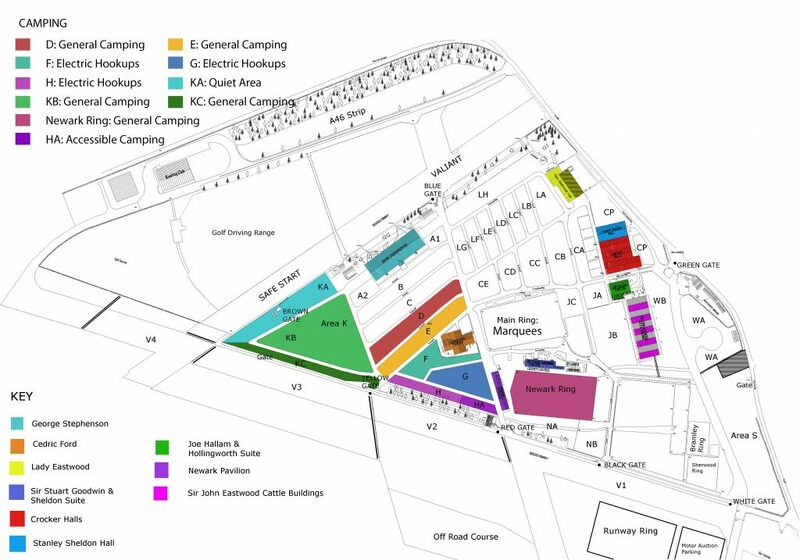 Below is a map showing the entire site with the camping areas highlighted. The Cedric Ford building will contain the main stage and some indoor workshop areas. The Sir Stuart Goodwin & Sheldon Suite building will contain the cinema.